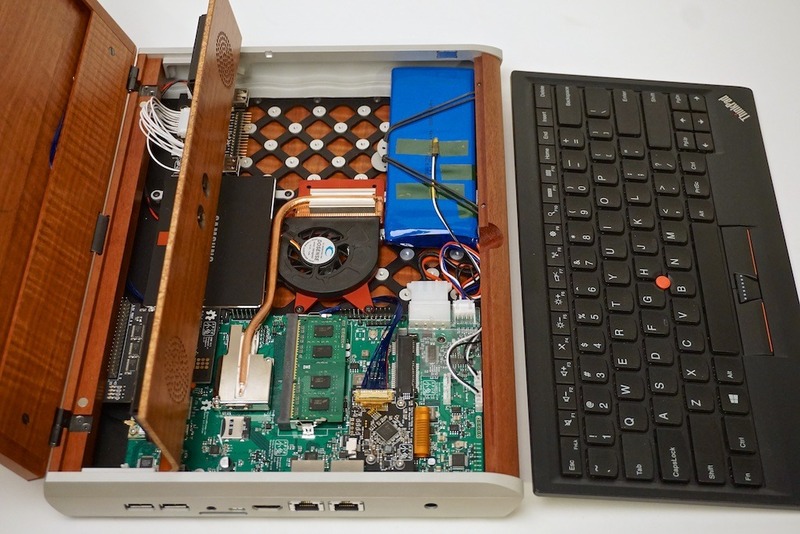 When Joshua Lifton of Crowd Supply approached his mate Kurt Mottweiler to help design a variant case for hardware designer Bunnie Huang’s Novena open-source computer, it was hard for him to resist the opportunity. 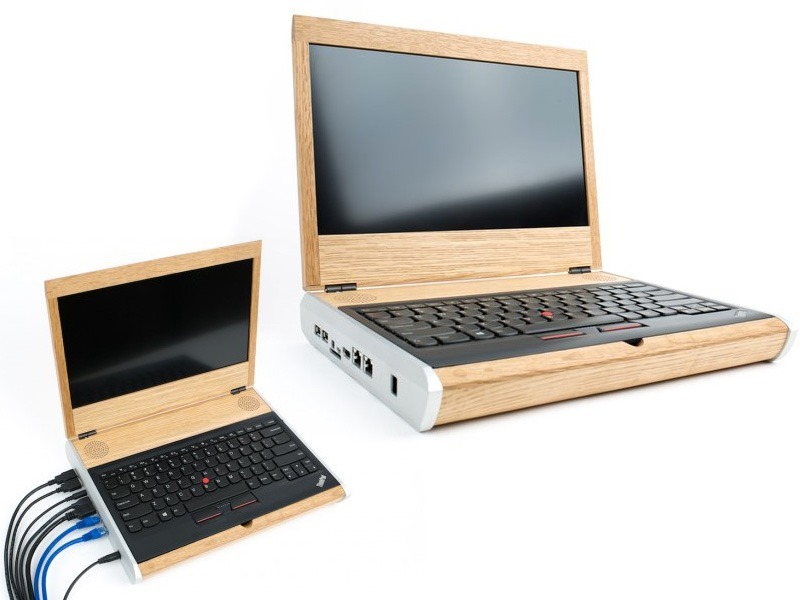 As a veteran, bespoke camera designer, Kurt was delighted to venture into a new area, where a non-touchscreen computer with a removable keyboard was to be housed in his exclusive creation, The Novena Heirloom Case. Bunnie working side by side Kurt Mottweiler in his Portland, Oregon workshop. 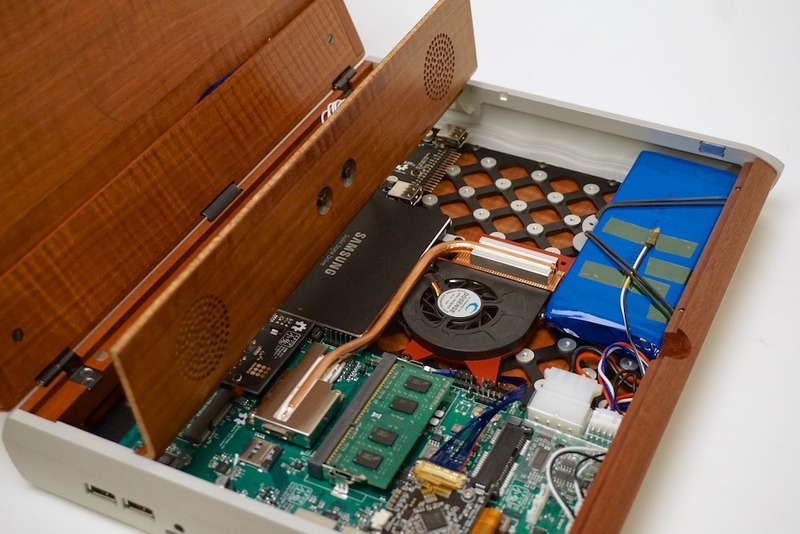 One of the key features Bunnie required of the Novena laptop was easy accessibility to the computer’s innards for hackers and tinkerers. Keeping this in mind, Kurt settled on the unique combination of metal and wood. This was after all Kurt’s specialty, used in his camera designs that hearkened back to manufacturing techniques used on British Mosquito Bombers of WW2 to fabricate curved forms that are smooth and slick. After experimenting with various options for the build, Kurt finally settled on a new material combination that would keep the case strong and light weight. The Novena composite was born, a paper-backed wood veneer over high-density cork core with 5.5 ounce fiberglass layers that interweave the design for stability and flexibility. 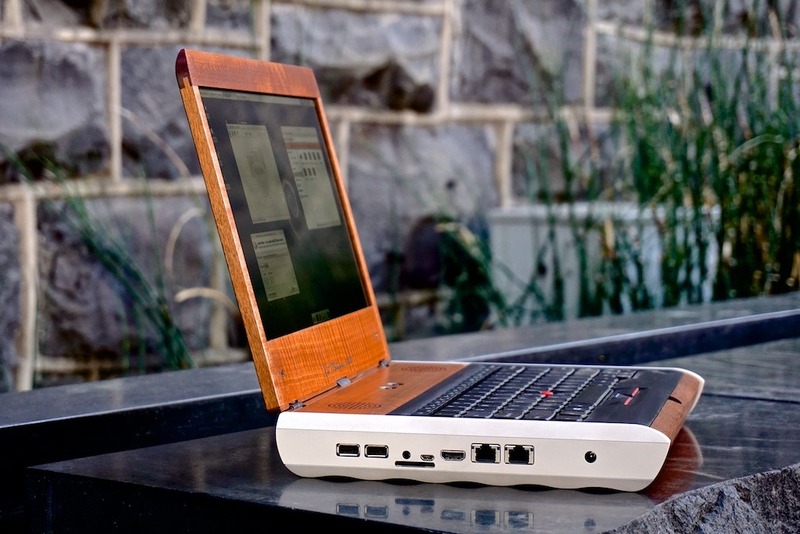 Since a key design feature of the case was to be its accentuated curves, including the wavy pattern seen across the bottom of the case, the use of this build-up made it the ideal solution. 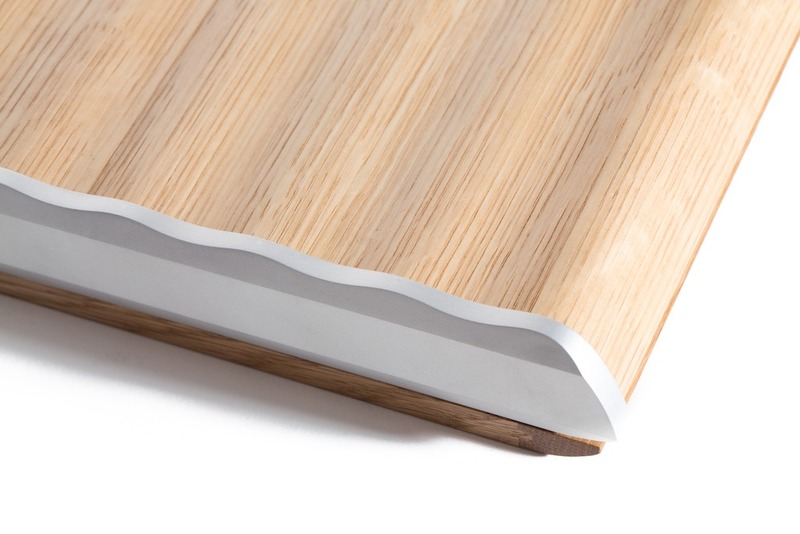 Marrying the wood with 6061 aluminum side panels adds even more contrast to the material combination and the lidded box inspired, visible friction hinges give it an air of vintage craft. This is a limited edition project and only a dozen examples (plus one for keeps) will be made. 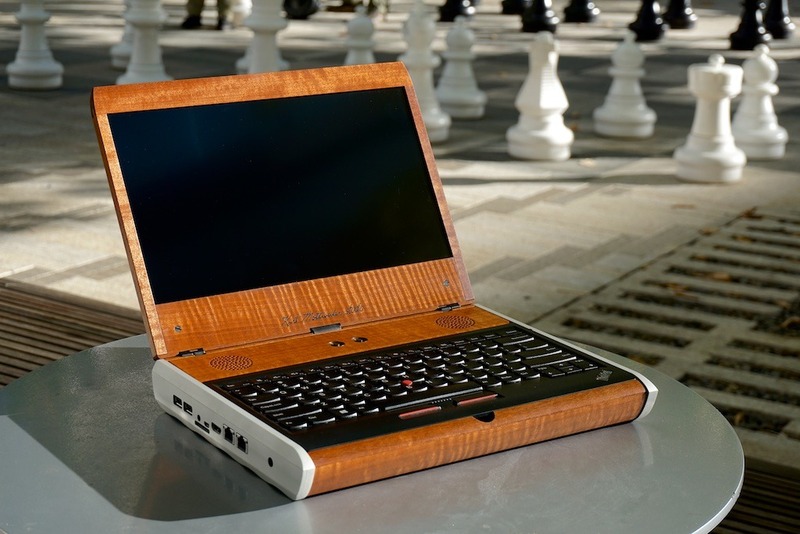 With the Novena laptop campaign is over and the Heirloom cases all claimed, we’ll be happy to sit back and admire the craftmanship and thought that went into the design of this one-of-a-kind laptop case. Be sure to check out more of Kurt’s work on his website mottweilerstudio.com.